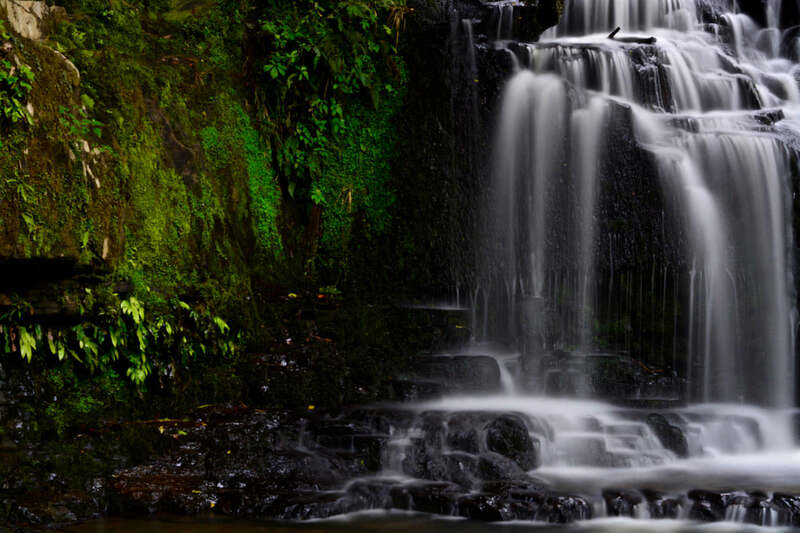 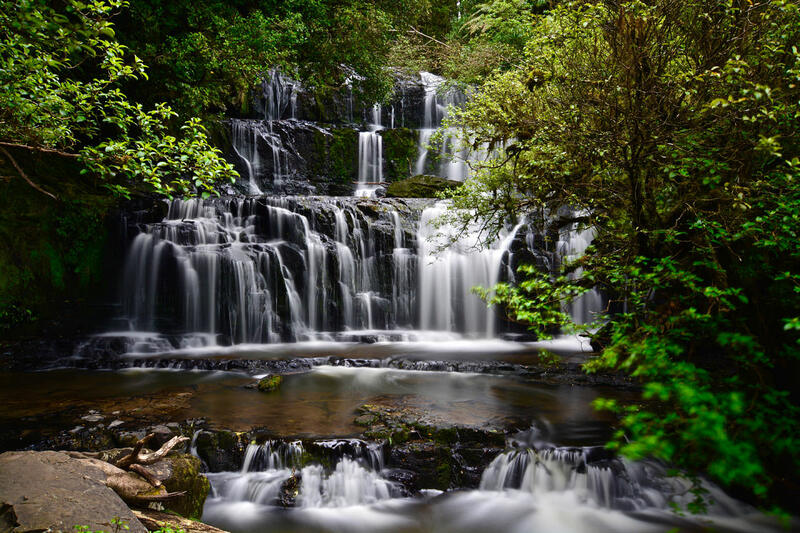 Within an area called The Catlins one can find the Purakaunui Falls. 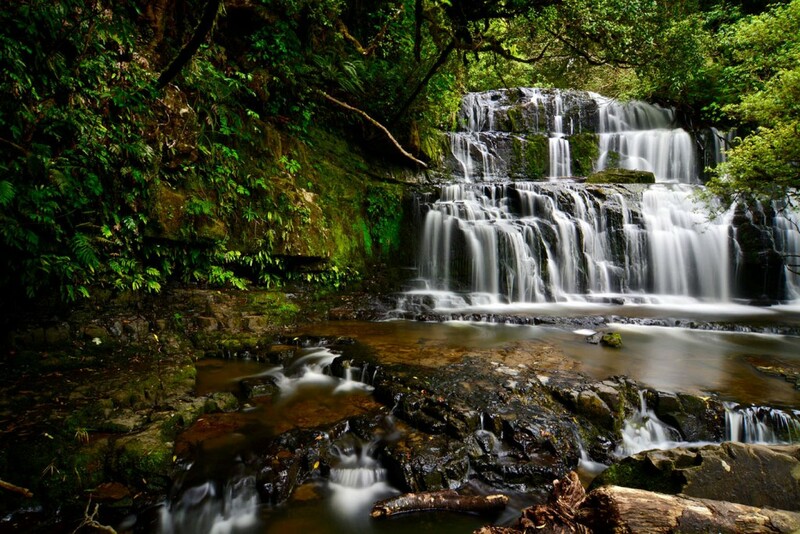 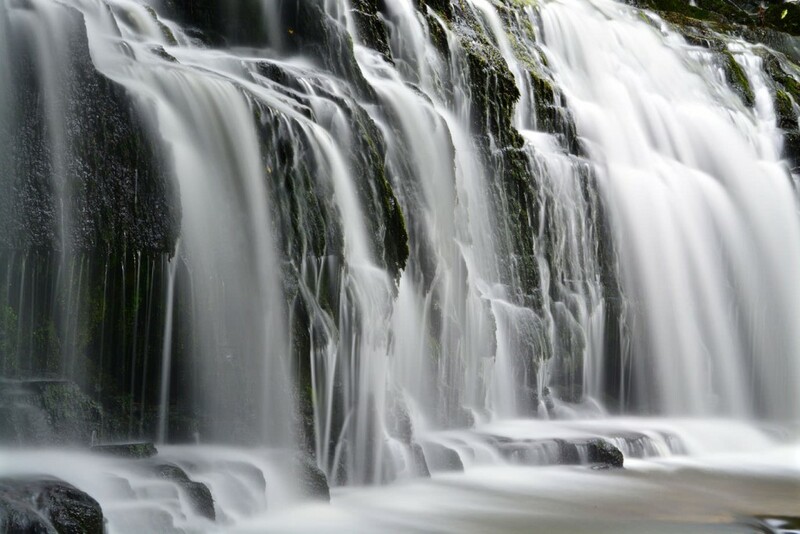 Located on the southern South Island it is one of very few waterfalls apart the alpine region. 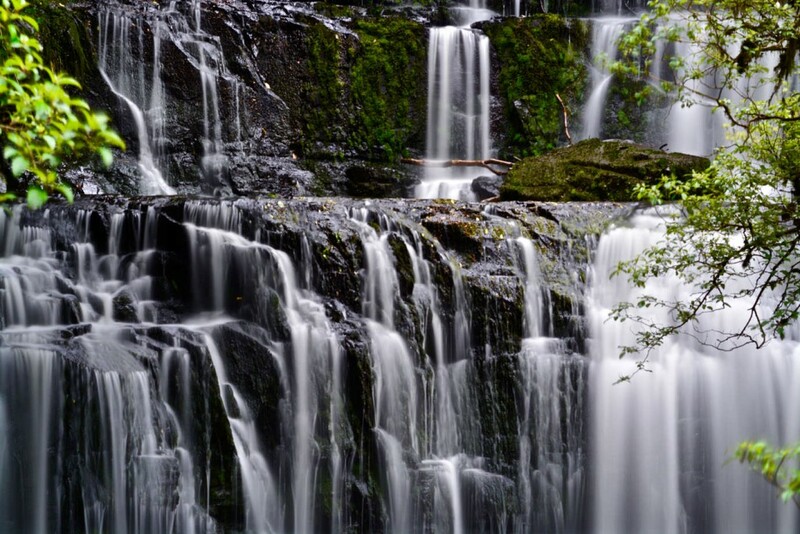 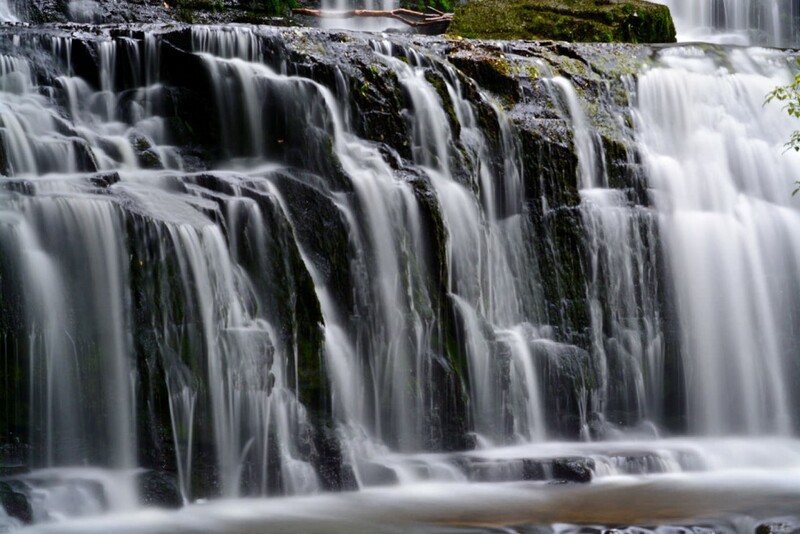 Surrounded by native bush consisting of podocarp and silver beech, the waterfall cascades 20 metres over three picturesque tiers. 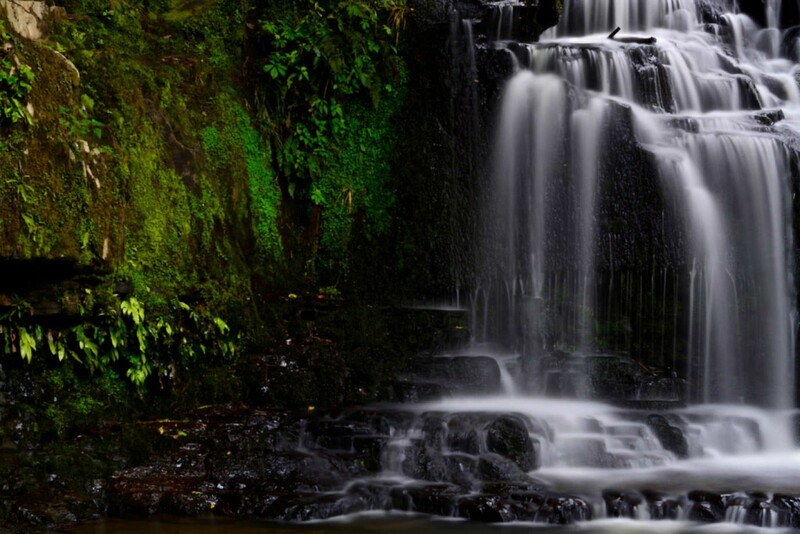 Five kilometres after the falls Purakaunui River flows into the pacific ocean.